With some of the steepest and northernmost vineyards in the world, as well as the coolest climate, Germany produces some of the best white wines in the world, mainly Riesling. Delicate, age-worthy, intense and elegant are the typical descriptions for these wines. Note that “sweet” is not a common descriptor because the idea that most German wines are sweet is just not so. In fact, the majority of wines made in Germany are dry and more recently, the country is exporting value wines that are easy to drink, extremely food friendly and, luckily for some, containing labels that are easier to read! The classification system of Germany is somewhat confusing. Like the rest of the old world, there’s some hierarchy to it all. The categories are: Tafelwien (table wine), Landwein (land wine, similar to France’s Vin de Pays) and the first “Q” level, QbA. 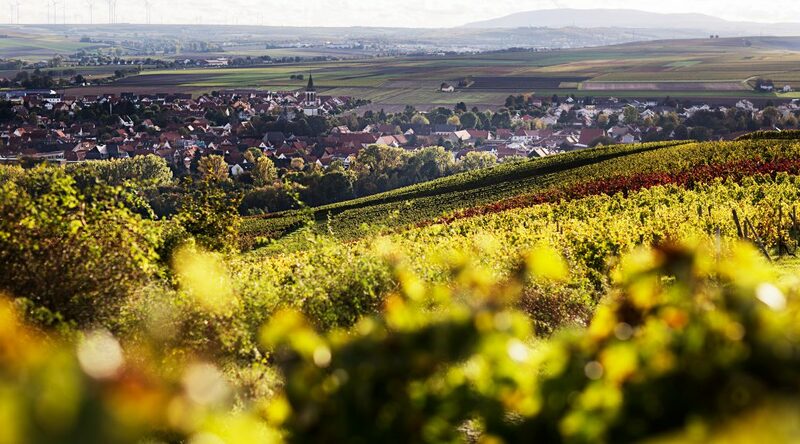 QbA wines are easy-drinking and inexpensive – the only requirement being that the wine must come from one of Germany’s thirteen official wine growing regions. The final level is QmP, which is the strictest level of German wines. The qualification consists of 6 levels, based on ripeness level at harvest, though that does not always translate into sweetness level. The driest level, Kabinett is usually light-bodied, low to medium in alcohol, and fairly dry. Great everyday wine and food-friendly. Grapes are picked a bit later than Kabinett (Spatlese means late harvest) and have a fuller, more intense body. Most wines of this level are dry although some are off-dry. Wines of this level are made from select grapes harvested even later than Spatlese. The grapes are selected in bunches to make sure they are of the perfect ripeness level. One step up in both body and sweetness, Auslese wines are balanced but with a bit more sweetness – perfect with spicy Indian food. The longer the words get, the higher up in sweetness level you rise. Like Auslese, the grapes are selected individually, but while Auslese is selected bunches, Beerenauslese are selected berries, and usually berries affected by botrytis, or noble rot, so you have an even more specific wine, which, in turn, increases both its sweetness level and its price. Okay, so Trocken means dry in German and yet this wine is the sweetest of the German levels. The “trocken” comes into play as the berries picked for this wine are dried, intensifying the sugars. So the wine is made from late-harvest dried berries affected with botrytis – a combination that makes a decadent (and expensive!) bottle of wine. A treat if you are able to ever try one.